OK, so deciding on a best-ever for this final number in the series was not difficult. And I mean, could anyone honestly ever take over from Sapp in the 99 shirt? 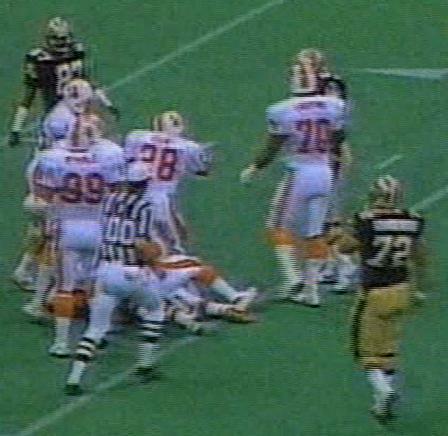 Tom McHale played six seasons on the offensive line for the Bucs but not many people know he started his career as a defensive linemen and played several games there in this number during the 1987 season. 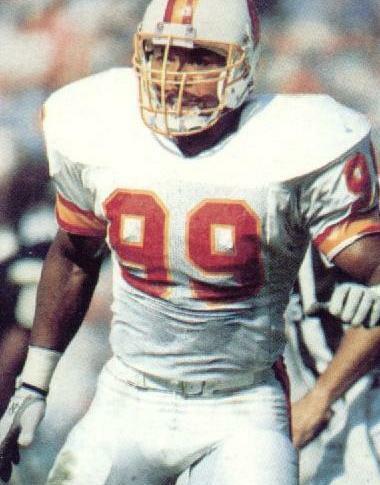 He was followed by one of the finest team leaders that the franchise has had, linebacker Eugene Marve. Arriving from Buffalo in a trade, he started for over three seasons on the inside and was as popular with the fans as with his team-mates. 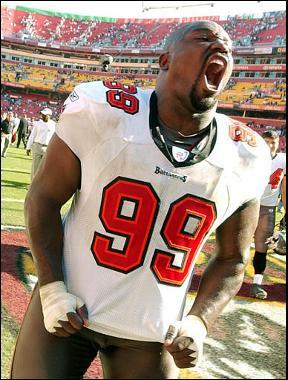 And then there is Warren Sapp - in 2013 selected to the NFL Hall of Fame, but also one of the first members of the Buccaneer Ring of Honor too. Not exactly perfect off the field but one of the greatest players in franchise history on it.